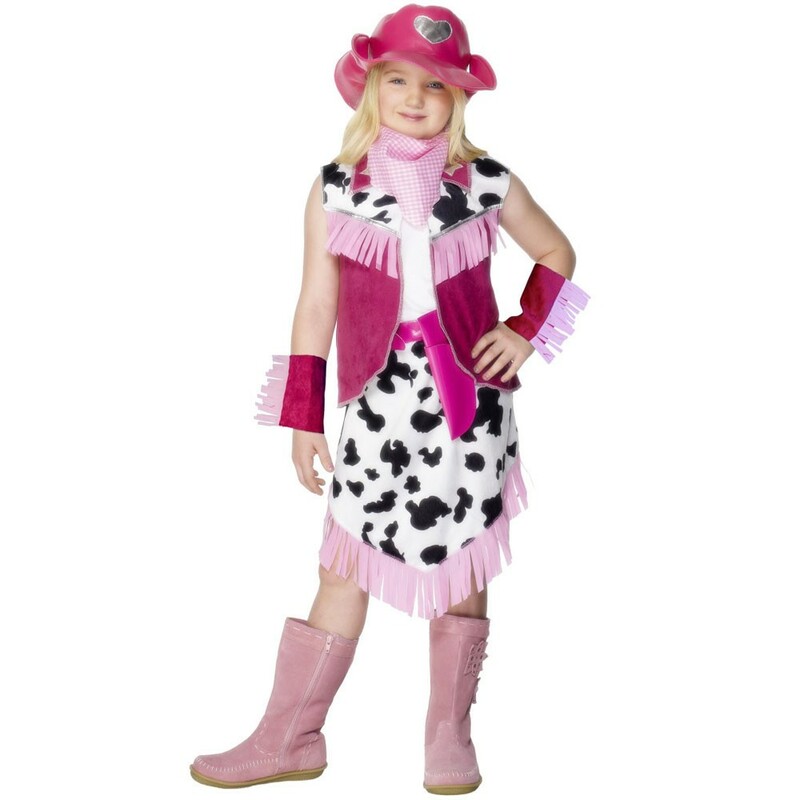 Transform yourself into Queen of the Rodeo in this brilliant Kids Pink Rodeo Girl Costume. This costume comes complete with a Skirt, Waistcoat, Neck Tie, Hat, Cuffs, and Gun Holster. This fabulous Pink costume includes a knee length cow print skirt with pale pink fringing along the hem. The Pink velour Waistcoat features the same cow print used over the shoulders, with pale pink fringing and a silver trim. Combined with the matching Arm Cuffs, this Kids Pink Rodeo Girl Costume is sure to impress! Every Rodeo Queen needs their Pink and White gingham check Neck tie, Pink Gun Holster, and a matching Pink Cowboy Hat with Silver heart badge. Ride in style no matter what the fancy dress occasion in this amazing Kids Pink Rodeo Girl Costume. A Kids Pink Rodeo Girl Costume including a Skirt, Waistcoat, Neck Tie, Hat, Cuffs, and Gun Holster.